Buying remotely controlled toy chopper and playing with it in your lawn will be thrilling but the sensing capacity or automation of the chopper may not meet your expectation. Can they be improved ? A team at General Robotics has developed Nano Quadrotors. These looks like small robotic creatures with 4 fans rotating at each end of the corner providing its push to fly. As they fly in bunch, they look amazing. 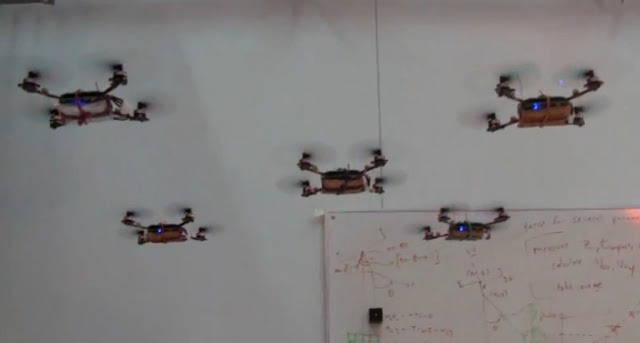 Check out this video which shows thee experiments performed with a team of nano Quadrotors at the GRASP Lab, University of Pennsylvania. Vehicles developed by KMel Robotics.